Periodontitis, the gum disease, is considered to be a nation-wide disease in Japan. More than 80 % of our population has a relation to it. One of the reasons is that we don't have a custom to go to a dental clinic for a check-up even if it seems we don't have any dental problems. Your gums are the important foundation for your teeth and provide stability for all of your dental work-so it is important to keep them healthy. However, your dental professional may identify a chronic bacterial infection in your gums known as periodontal disease (gum disease). Periodontal disease is the #1 cause of adult tooth loss in Japan. This silent infection occurs when harmful bacteria travel beneath the gum line and create “pockets”-spaces or gaps in the gums around the teeth. If left untreated, periodontal bacteria can lead to bone and tooth loss that threatens your foundation. Infected periodontal pockets are usually 4 or more millimeters in depth. Gum disease is preventable in many cases. We recommend every 3 months visit for a regular check­up and cleaning since a layer of bacteria starts to build up around this time. We offer you our original cleaning program called PMTC that makes a further prevention of a cavity and gum trouble. We hear the news about colon bacillus O-157 in summer and about norovirus in winter. Many of us are terrified when we hear the news. One of the acts among a food industry takes is to use electrolyzed acid water for disinfection and sterilization of food and various apparatus. Tokyo Disneyland is one of them to use electrolyzed acid water for food and apparatus matters. Electrolyzed acid water is also approved as a safe food additive by the Ministry of Health, Labour and Welfare. There are reports of effectiveness of electrolyzed acid water for disinfection, sterilization and stop the bleeding in dentistry. In the past and the present, anti-biotic medicine has been used for acute and chronic infections. Anti-biotic medicine is effective, however, a fear of anti-biotic resistant bacteria is always left. Electrolyzed acid water is not a medicine. Even if we use it every day for a long period of time with a lot of amount, it never creates anti-biotic resistant bacteria. It also does not cause any allergy. We have introduced a system using electrolyzed acid water in our treatment, mostly for periodontal issues. A patient complained about bleeding during brushing, gum swelling, and its pain. As you can see in this picture, there was a lot of stain and tartar along the gum line. Tartar is a calcified debris of dental plaque that is made of various oral bacteria. It is now not removable by brushing, resulting in gum inflammation and infection. 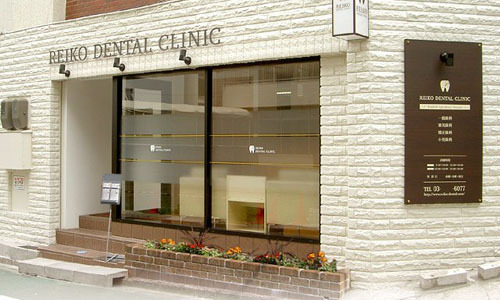 We performed a basic gum treatment on him, and he did everyday dental care thoroughly. You can see a lot of improvement and change in this picture. We perform a basic gum treatment on every patient who needs it. After a basic treatment, a maintenance treatment every 3-4 months is very important to keep your oral health condition healthy. It is scientifically proven that a bio-film (a layer of bacteria) is formed on the surface of teeth in a few months.